CARFAX 1-Owner, Excellent Condition. Touring trim. FUEL EFFICIENT 28 MPG Hwy/19 MPG City! 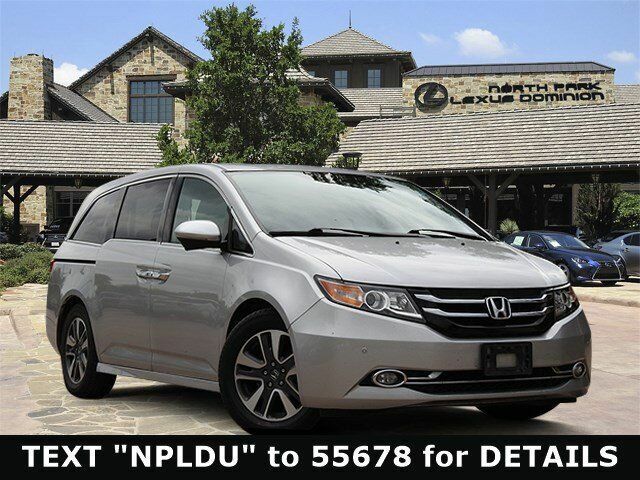 Moonroof, Nav System, Third Row Seat, Heated Leather Seats, Entertainment System, Rear Air, Power Liftgate, Aluminum Wheels, Back-Up Camera. CLICK ME! Navigation, Leather Seats, Third Row Seat, Rear Seat DVD, Back-Up Camera, Power Liftgate, Rear Air, Heated Driver Seat, Satellite Radio, iPod/MP3 Input, Bluetooth, CD Player, Aluminum Wheels, Keyless Start, Dual Zone A/C Rear Spoiler, MP3 Player, Power Third Passenger Door, Sunroof, Rear Seat Audio Controls. Honda Touring with Alabaster Silver Metallic exterior and Gray interior features a V6 Cylinder Engine with 248 HP at 5700 RPM*. Great Color, Local Trade.